Sign up today and join us to finally meet your Colombian bride. You have to meet her to marry her! Barranquilla is commonly known as the Golden Gate of Colombia because of its location in the northern area and its cumulative maritime port. The progressive city of Barranquilla is situated at the point where Magdalena River meets the Caribbean Sea. It is also a bustling city with over 1.1 million inhabitants. Barranquilla holds the largest port in Colombia along the Caribbean Sea and is home to the second largest carnival in the world. Given that, you have to expect several parties going on in any street in Barranquilla. However, due to its location between the hot spots of two big cities, Barranquilla often gets overlooked by many local and international tourists. What they failed to see is the beautiful sights of this city that brought a high sense of splendor and incredibility. Since its recognition, a number of international tourists have paid a visit to Barranquilla to see how enticing the city is. Moreover, there are a lot of activities in Barranquilla that await you which will surely make you have a good time in Latin America. 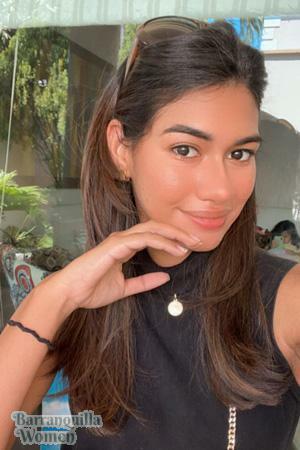 Yet apart from that reason, it’s the gorgeous Barranquilla girls whom most bachelors are after for. They visit the city to meet, go out, and marry a lovely Colombian bride. A number of foreign men have been enjoying a successful marriage life with Colombian wives. That being said, intercultural marriages are no longer peculiar for those who are willing to go beyond the borders to search for love. Traveling and finding the love of your life does not only mean you are to look within your walls. There is so much more beyond that. If you find “the one” in your area, then you are considered a lucky man. Otherwise, you have to take the risks and meet her instead of waiting for her to come. If only you are earnest in meeting and going out with Colombian women, our site can absolutely lend a hand. 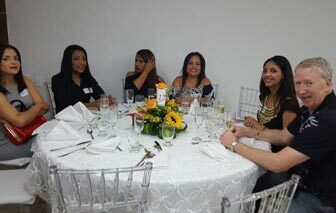 Barranquilla Women is one of the best matchmakers and marriage agencies in the singles’ industry today. For over 20 years, matching foreign men and Colombian women for marriage has been one of our leading goals. All you have to do is register for free and have the chance to browse through the profiles of these beautiful ladies and communicate with them through us. Due to technological advancement, meeting and going out with women you desire have been made a lot easier. Also, please know that here, we prioritize our clients’ security and privacy. 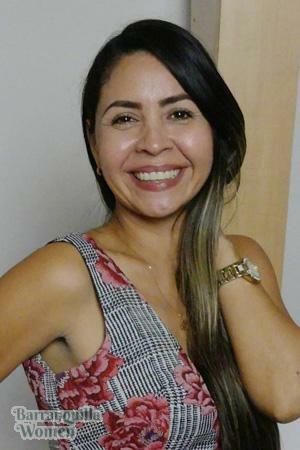 These Colombian women found on our site have undergone thorough screening and verification to ensure their authenticity and sincerity in joining us. Thus, if you have been waiting for this opportunity to come, grab this right away and do not delay. Sign up today and start your journey for love and marriage right here! Be part of our romance tours to Barranquilla and meet hundreds of women who are just like you-- seeking for true love and marriage. Barranquilla Women’s romance tours stand as one of the ways to finally meet the love of your life. Romance tours allow you to establish good relations among Colombian women. Through that, you will be able to know these women more and the reasons why most Latin women are considered as ideal partners for marriage. You will also be able to know what is the stand of Latinas in terms of family and marriage. Prior to joining the said romance tours, it’s best to know that these girls are seeking long-term relationship and marriage to foreign men. They are actually after for someone who thinks about settling down at the end of the day. If your intention is the same as theirs, then joining our tours is one of the best ways to be with your soulmate. Hence, instead of just hearing the happy marriage stories of our clients, why don’t you make a move toward your happy ending too? Experience the fun our tours will bring. Also, know by yourself why Colombian women are ideal brides for every single foreign man like you. Allow us to help you in your journey toward a happy married life. Know how to meet women in Barranquilla now and sign up today! Barranquilla Women is one of the top sites in the matchmaking industry which offers world-class services. It has become a path connecting two hearts to beat as one. For over 20 years, our services continue to bloom and create countless love stories between different countries and cultures. 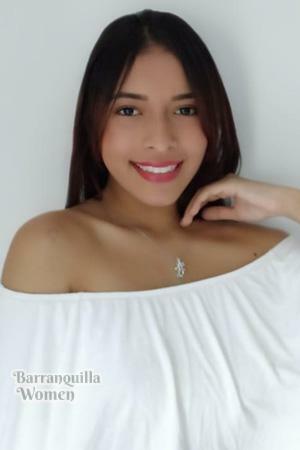 Here, you can find numerous Barranquilla ladies who are seeking foreign men for true love and marriage. If you have ever dreamt of marrying a Colombian woman, then making your dream into reality is just a click away. When you sign up and create your own profile, our hands-on staff will make it more convenient for you. Also, the women you see in the personals section are the same women you will meet during the romance tours. 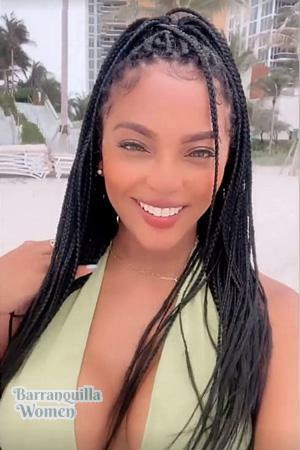 Aside from the fact that we offer matchmaking services, we also give our clients the ultimate chance to meet the Barranquilla ladies in person. Included in our romance tours are accommodation in a luxurious hotel, sufficient time to converse, and a conducive place to socialize with the women. We allow our clients to experience both virtual and traditional dating. Such are organized to let you formally meet and know the woman you are virtually talking to. During the socials, we also provide free interpreters so that communication won’t be a problem for both of you. That is to ensure that language will never be a barrier in getting beyond your border just to find your future bride. We always make sure you will have a hassle-free tour to Barranquilla, Colombia with us. When you join our singles’ and romance tours, you will know that those are designed not just to let you meet Colombia women for marriage, but also to enjoy the city of Barranquilla itself. Exploring and discovering the wonderful spots of the city will also be part of the tour. It’s more like searching for love and having a good time as well. You're assured that you will enjoy our captivating city tours. This is basically one of the best services we give to our clients. We allow them to take a break from their busy lives while searching for a future wife. By signing up on our website, you will be given a chance to explore this beautiful city and meet the women you wish to go out with. Moreover, you can refer to our helpful itinerary tips for a more convenient and safer trip to Barranquilla. The security of our clients is our top priority, especially during the tours. This is why our past clients have given us their full trust. Indeed, Barranquilla Women is your ticket to a paradise where your future bride is residing. All you have to do is click the register button and be grateful for a lifetime for the decision you’ve made. Find love and start your journey for romance today with us. If you have any inquiries regarding the services we offer, we are reachable 24/7 via calls during our normal US business hours and our hands-on staff will accommodate you. Sign up for free now!